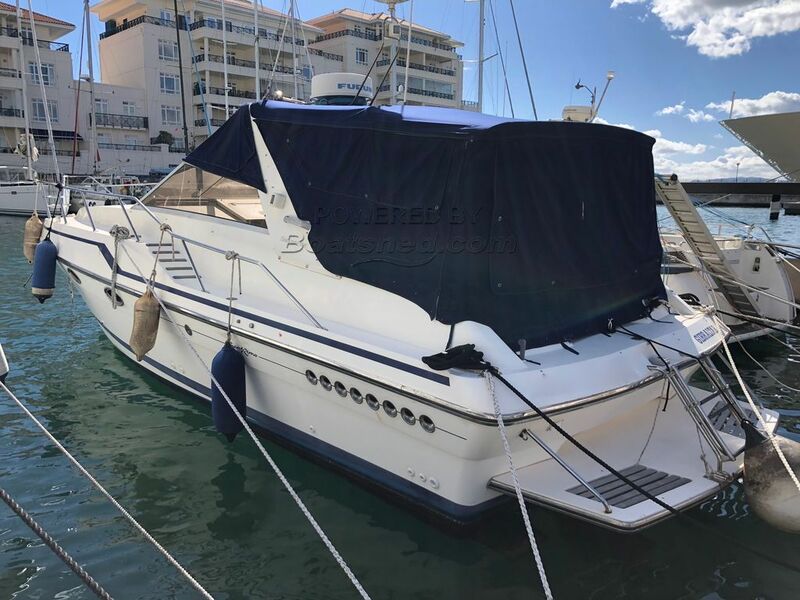 This yacht is ready for rapid excursions across to North Africa or up and down the Costa del Sol. I once went across to N. Africa on it in 30 minutes! This means among other things that one can run ahead of deteriorating weather. The boat has recently had a refit. Engines were service, batteries replaced and all the canvas work renewed. We strongly recommend a viewing. This Sunseeker San Remo 33 has been personally photographed and viewed by John & Lynda. of Boatshed Gibraltar. Click here for contact details.